Why Not? Because I Said So! Book Reviews, Blitzs, Giveaways, and Author Interviews. 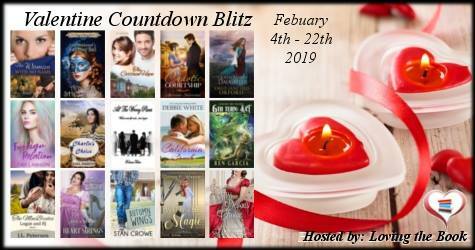 : Valentine Countdown Blitz Day 5 & Giveaway: Featuring Author Emily-Jane Hills Orford "Queen Mary's Daughter"
Why Not? Because I Said So! Book Reviews, Blitzs, Giveaways, and Author Interviews. 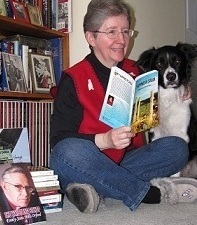 Sheila: Book Reviewer,writer and great lover of books...sharing her wonderful finds of fantastic authors,their books, writing tips, and also other things of interest to her and those following the blog. Thanks for visiting! Follow today and don't miss out on news of great new books and giveaways! Sheila has read 9 books toward her goal of 80 books. Valentine Countdown Blitz Day 5 & Giveaway: Featuring Author Emily-Jane Hills Orford "Queen Mary's Daughter"
An avid gardener, artist, musician and writer, Emily-Jane Hills Orford has fond memories and lots of stories that evolved from a childhood growing up in a haunted Victorian mansion. Told she had a ‘vivid imagination’, the author used this talent to create stories in her head to pass tedious hours while sick, waiting in a doctor’s office, listening to a teacher drone on about something she already knew, or enduring the long, stuffy family car rides. The author lived her stories in her head, allowing her imagination to lead her into a different world, one of her own making. As the author grew up, these stories, imaginings and fantasies took to the written form and, over the years, she developed a reputation for telling a good story. Emily-Jane can now boast that she is an award-winning author of several books, including Mrs. Murray’s Ghost (Telltale Publishing 2018), Queen Mary’s Daughter (Clean Reads 2018), Gerlinda (CFA 2016) which received an Honorable Mention in the 2016 Readers’ Favorite Book Awards, To Be a Duke (CFA 2014) which was named Finalist and Silver Medalist in the 2015 Next Generation Indie Book Awards and received an Honorable Mention in the 2015 Readers’ Favorite Book Awards and several other books. A retired teacher of music and creative writing, she writes about the extra-ordinary in life and the fantasies of dreams combined with memories. There are so many possibilities that affect the course of history. One change, one small item overlooked, can make a world of difference, not only in a person's life, but in the history and well-being of an entire nation. And then there are those multiple scenarios of what if? What if King James VI of Scotland didn't succeed in amalgamating Scotland with England? Would Scotland have remained free and independent and a nation of its own well into the twenty-first century? And would Scotland, this independent version, make its own decision to join the European Union when its southern neighbor was choosing to pull away? And, what if there was another heir to the Scottish throne? 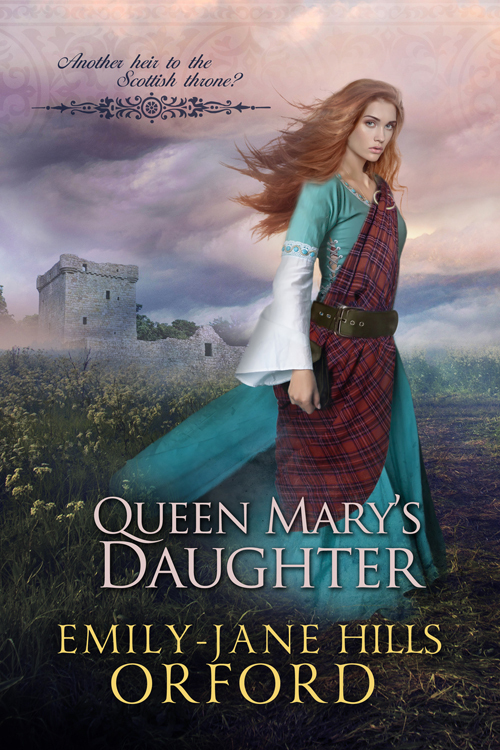 In Queen Mary's Daughter (Clean Reads Publisher), author Emily-Jane Hills Orford presents another plausible timeline, one that incorporates both historical fact and fiction with the endless possibilities of time travel. Thanks for hosting me and my book "Queen Mary's Daughter". Why Not? Beacause I Said So! Subscribe To "Why Not? Because I Said So!" Circle of Conspiracy By Cas Peace-Blog Tour Spotlight, Giveaway, and Top 10 List! The Best of 2015 Giveaway Hop! Would You Like Me to Read and Review Your Book? Forever Yours: A Clean Romance Event & $25 Giveaway-Featuring Author Reina M. Williams "Italian Honeymoon"
Romance is in the Air: A Celebration of Clean Romance & $25 Giveaway -Showcasing Author Danielle Thorne "Valentine Gold"
Romance is in the Air: A Celebration of Clean Romance & $25 Giveaway -Showcasing Author Laura Ann "Goldilock's Misunderstood Billionaire"
Put these books on your To-Read list! Click on the cover to find out more about each book. Note: Added 7-22-2014...I am suspending any reviews from new authors for a few months. I'll still be open to reviews from authors I've reviewed for previously. I am back logged with reviews and my new school year is starting soon. I will show here on the blog when I'll be accepting new review requests. Welcome to my little spot in this big old world! and share with me what you know.